Rancho San Lucas is the premiere lifestyle choice for those seeking to buy a getaway dream home in an exclusive residential community. Sea, sun, surf and spectacular family-friendly fun await in this convenient location in Los Cabos, Baja California Sur, easily accessible from points throughout the United States, Canada and Mexico. There are almost too many reasons to list why purchasing a home in Rancho San Lucas makes sense, but we’ll start with six to give you a taste of all there is on offer. Rancho San Lucas is the vision and the dream come to life of its Founder, who moved to the region in 1955. Inspired by the natural beauty of Baja California Sur a vision for an unequaled oasis by the sea started to take shape and the land for Rancho San Lucas was purchased in the 70’s. Today, that vision becomes a reality as this masterfully designed community comes to fruition offering future residents a peaceful respite that blends resort living with luxury residential amenities. 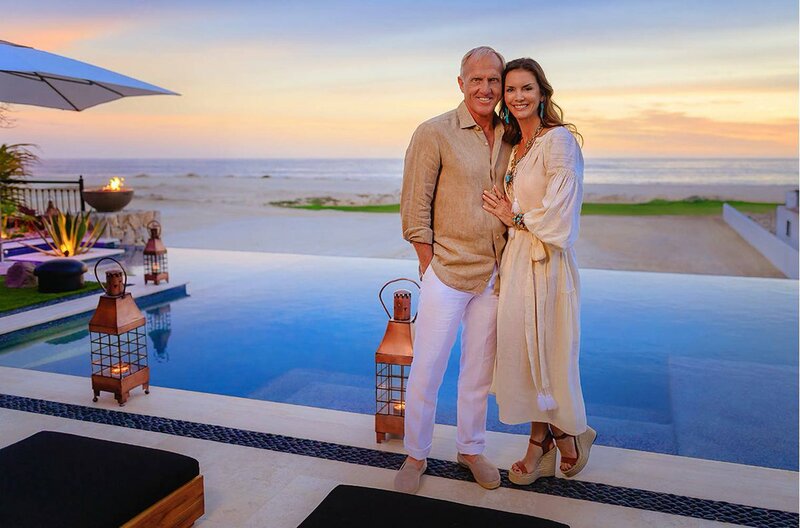 The same caliber of excellence that has made Solmar Group what it is today is why Rancho San Lucas was also selected as the location where legendary golfer Greg Norman has established his first real estate venture in Latin America. 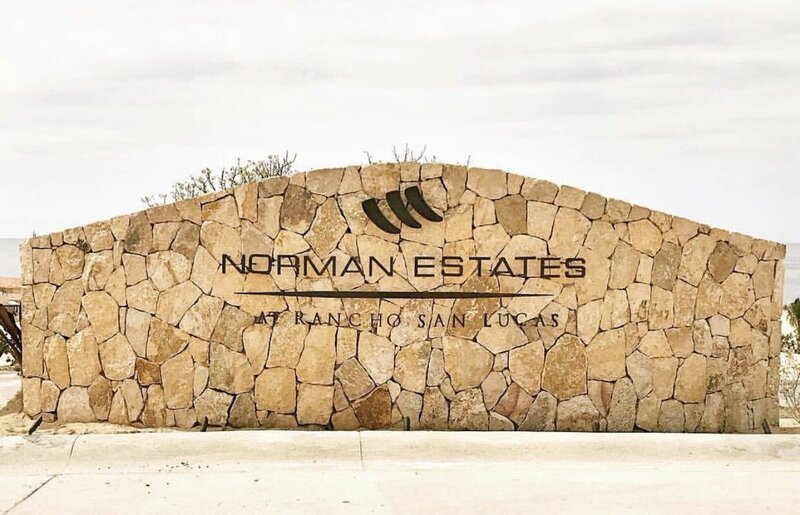 Norman Estates at Rancho San Lucas offers carefully considered modern-day living seclusion, comfort and relaxation with interwoven traditional and contemporary design in a true oceanfront ranch style living atmosphere. Property highlights include access to a private oceanfront beach club complete with pool, gym, restaurant, rec-room, an impressive 18-hole golf course and more. There’s a home choice for every lifestyle here. The Villas at Rancho San Lucas present Santa Barbara style single family residences offered in five different floor plans with architectural details that portray a perfect balance of Mexican and Spanish details. There are also spacious luxury estate homes within Norman Estates at Rancho San Lucas, which start at 6,200 sq. ft. and are designed in a Modern Mexican Hacienda Style. These homes boast interior courtyards and large outdoor living areas, offering a simultaneous mix of both privacy and easy access to gracious outdoor living. The 843-acre master plan also includes a Village with shopping, dining and entertainment options, an expansive community park with a lake, biking and hiking trails, family picnic areas, tennis center and much more. All of this is spread along 1.2 miles of expansive white sand beachfront, facing the azure waters of the Pacific. Rancho San Lucas is the product of a collaboration of ideas by some of the greatest architectural minds working on resorts, from the Design Studio of Michael McKay, to HKS Inc., Melzer, Deckert & Ruder Architects, Inc. (MDR, Inc.) who brought a LEED equivalent sensibility to the project, along with TBG Partners and Gran Vision Design. The Cabo lifestyle is second to none, making Los Cabos Mexico’s premiere tourist destination where luxury meets comfort with ease. The best of Mexico and the spirit of Baja come together to offer much more than beautiful landscapes and fun under the sun. From golf-courses, fine dining, surfing and deep-sea fishing easily accessible from Cabo’s marina, to the annual Los Cabos Film Festival, where stars like Nicole Kidman, Jim Carrey and many others walk the red carpet, Cabo has it all. The year-round activities are all part of what makes this a dream-come-true destination with a myriad of options to fulfill any preference or desire. Rancho San Lucas is designed with recreation in mind to cater to healthy lifestyles no matter what stage you and your family are in. The 834-acre grounds contain hiking trails, walking platforms, and an 18-hole Greg Norman golf course, among so many amenities, all of it walking distance from the shoreline. The nearby marina is a haven for boat and fishing enthusiasts. Beyond all the local choices that await, the Solmar family offers a wonderful array of top-notch restaurants like Romeo & Julieta, a classic Italian restaurant that has been a favorite of locals and visitors for decades and La Roca, the signature restaurant serving modern Mexican cuisine and seafood at Grand Solmar Land’s End Resort & Spa. From November through March, you can experience one of nature’s most breathtaking gifts, the migration of humpback whales whose visit will give you a new appreciation for nature. Rancho San Lucas makes safety a priority, and an integral part of this private resort community with 24-hour security. Los Cabos and Baja California Sur, welcome more than two million tourists each year. Both the private and public sectors are committed to maintain Los Cabos as Mexico’s premiere tourist destination by continuously investing in enhancements such as increased security personnel, equipment and infrastructure in the area. With tourism as the heartbeat of Los Cabos, safety, security and well-being of residents and visitors is a top priority. Rancho San Lucas is easy to get to, whether you’re coming from the United States, Canada or from mainland Mexico, with convenient airport connections. All of this makes vacationing and visiting easy any time of the year no matter how long the stay is. A newly finished beltway connects San Jose del Cabo International Airport to Cabo San Lucas, meaning you are less than 30 minutes away from the airport, a mere 20 minutes from downtown Cabo San Lucas, 30 minutes from the Pueblo Mágico pf Todos Santos. The area has everything today’s lifestyle requires. From high-speed internet access to satellite HD-TV, art galleries to grocery stores carrying organic produce, modern and professional medical services to bilingual schools, yoga classes to night clubs, Los Cabos is a cosmopolitan destination making life happy and fulfilling. These are all just a few reasons why Rancho San Lucas makes for a fabulous lifestyle choice. Once you visit, you’ll understand why the pioneering vision of Solmar Group’s founder made it possible to build this oasis for future generations.